This brand new album by Matt is “killer sweet”! Very few artists are equally adept at beautiful instrumentals AND vocal songs in the “folk/country/indie” style. It’s only four songs long, and two are sweet instrumentals (“Rose Door” & “Foxglove in A Major“) with “Morning Glory Fool” & “Blossom in the Sun” rounding this album out. The vocal talent is captivating and shows strength with just a hint of that “gravelly” quality that we all love in classic indie/folk! Matt has been on a musical roll lately with the attention of “Realizer”, but this album really shows off his diverse talent in the folk/indie world in addition to his well-known instrumental skills. Give it a listen, save it, and add it to every playlist that fits either guitar instrumental or folk/country/indie, I’d like to stumble across these tunes on every list that I listen to! (I’m thrilled to have all four songs on my lists)! Oh wow, woke up this morning to a message that Casper Esmann‘s new single is out! If you haven’t heard Casper Esmann before, then let me tell you he is an extremely talented guitarist able to handle both guitar “fireworks” and melodic/lyrical finesse. His playing can match up against anyone out there. I’ve had this new release “Dún Aonghusa” on repeat while doing my morning run. Few pieces keep me smiling with a slight tear throughout, but this one does it! Named after a prehistoric cliff fort on the Aran Islands of County Galway Ireland, I believe Casper managed to reach all the way back through over a thousand years to when the fort was built to pull this music out of the ether! More than well done Casper Esmann! Tommy Berre & Michelle Qureshi, two individual musical standouts! 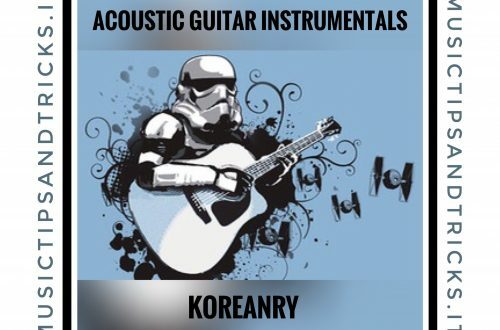 Put them together and what do you get: pure acoustic magic ambience! Check out “An Offering” by Tommy & Michelle! This is the musical equivalent of the gastronomical world’s “strawberries and cream”! Skip the caramel macchiato this morning and opt for “Fram” the brand new guitar duet by Tommy Berre & Roberto Diana! This one is “sweet”! With a mixture of Spanish and slide guitar, it is so good, I burst out giggling with pure joy about 2/3rds of the way through the song! So many masterpieces today! Friday night: lots of guitarists and guitar instrumental playlists on Spotify, but if you want a real treat, check out Andy Salvanos! Andy plays a “Chapman Stick“. A “Chapman Stick” is in the “guitar family” but has 10-12 individually tuned strings. The result, in the hands of a master like Andy Salvanos, is an acoustic, new age, ambient thrill of sound! Check out Andy’s newest album “Solar Cycles” on Spotify and make your Friday evening memorable! The perfect music to make a beautiful day is “The Heart Is a Thousand Stringed Instrument” Spotify playlist by the abundantly talented Michelle Qureshi. An award-winning artist, composer, multi-instrumentalist and classically trained guitarist, Michelle has a catalogue of work that includes instrumentals, guitar, new age, world and ambient music. Michelle Qureshi‘s “The Heart Is A Thousand Stringed Instrument” playlist includes some of Michelle’s best work, other artists you will also recognize, and includes some pieces you won’t find on every instrumental playlist. Her dedication in finding these tasty selections reflects Michelle’s attention to the details, her diverse talent, interests and her deep spiritual nature. Whether you plan to work, relax, meditate or enjoy your Friday yoga class, Michelle’s music is the perfect accompaniment to help you focus. In addition to this wonderful playlist, Michelle has at least 11 of her own albums that will entertain and amaze you as well as other playlists on Spotify, Pandora and most other streaming services. Give a listen to Michelle Qureshi‘s “The Heart is a Thousand-Stringed Instrument” playlist and all her other music! 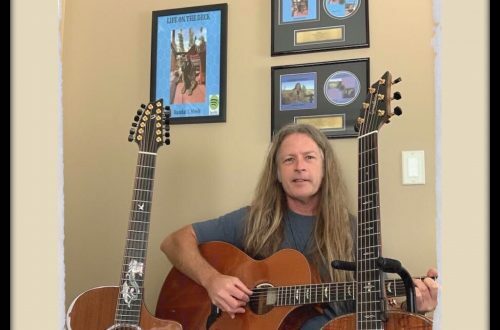 Monday, and you know what that means: Daryl Shawn‘s “This Week In Fingerstyle“!!! After his release of the virtuoso “Cover Songs #1” everyone has been sitting on the edge of their seats awaiting Collin Hill‘s first foray into the “original music” area: “Skylight” does not disappoint! “Skylight” is a beautiful melody played with a sensitivity and emotion that belies Collin‘s age. This “kid” is going places! And we’ve got the rest of his first original album still to come! Scott Bravo‘s “New York Smile” is a wonderful composition that shows off the skills of someone, Scott, who has indeed mastered all the techniques of modern fingerstyle. A “New York Smile” indeed! “Dun Aonghusa” by Casper Esmann may indeed be my favorite original piece of 2018. With perfect execution, this piece feels like a romantic love song to a time and place many centuries ago. Haunting, romantic, and able to produce a tear after hearing it now dozens of times since its release on Friday. Wow Casper Esmann! The Tommy Berre/Michelle Qureshi collaboration “An Offering” is beautiful! I’m confident that there is a yet-unwritten romance movie that already has this song penciled in as the theme song! Really beautiful and well-done Tommy & Michelle! Daniel Friend’s “Fire and the Flood” takes some risk with the 4:20 length, but the result is a well-developed theme that ends abruptly with me still wanting more. It’s no wonder that “Realizer” with Matt C White, and Kyle McEvoy have been tearing up the charts lately. These guys have come up with a unique sound that on this release, “Late”, combines nylon string and steel strings to produce a captivating “country swing” feel! This song grabs you, pulls you close and leads you on a 3 minute dance wiping away all thoughts of everything else in the world. “Una finestre sul mar” closes out this week with a relaxing, soothing 7 minutes lazily watching the world go by through “una finest sul mar”! The other three pieces by Tommy Emmanuel, Basil Wahn and Alberto Lombardi nicely complete “This Week in Fingerstyle” by Daryl Shawn! Thank you Daryl and all the artists who contributed this week’s picks! 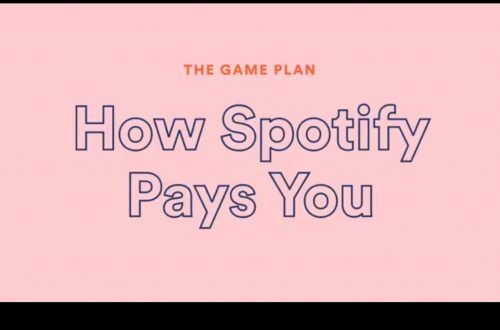 And as always, remember to “Follow” your favorite artists and playlists on Spotify! 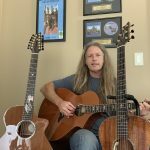 Randal L Meek is a solo fingerstyle guitar artist and singer/songwriter. 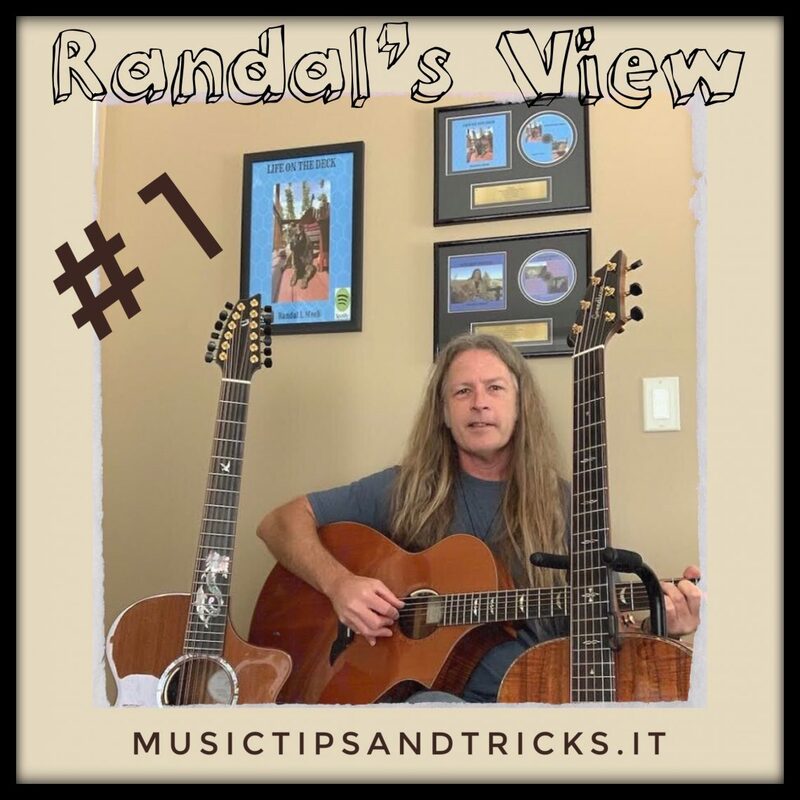 Randal’s songs, and his instrumentals, are gentle and authentic with a warm and sincere delivery that is both relaxing and emotional and the perfect accompaniment for relaxing to your own “Life On The Deck”!